Act like a sponge and absorb all of the informative available to you. As a young firm with big goals, Sheffield-based sales and marketing firm, Syrac Inspirations regard education and self-development as the key to business success. With the firm focusing on self-development, Managing Director, Rachel Robinson held motivational and informative company-wide workshops every day last week. Despite being a relatively young business, operating for less than two years, Managing Director Rachel Robinson has big goals and aspirations for the firm, and to make those goals come to fruition, Ms Robinson believes that her own personal self-development, and the development of the firm’s staff and contractors is imperative. Syrac Inspirations is focusing on growth in 2017 and their main objective for the first financial quarter is to add to their client portfolio, allowing the firm to diversify their services. Looking ahead to the second financial quarter, the firm's attentions will be focused on expanding their market reach with Ms Robinson planning to launch Syrac Inspirations in a new city. To meet their growth goals, Ms Robinson argues that self-development is critical. At Syrac Inspirations they are committed to helping expand the knowledge and skill set of everyone who comes through their door. They invest a tremendous amount of time into everyone they work with, offering on-going coaching and mentoring sessions, as well as regular access to client and in-house workshops, and industry conferences and seminars. During the workshops, Ms Robinson explained techniques for both personal and professional development, providing advice and guidance for those in attendance. Syrac Inspirations frequently holds educational and motivational workshops as they believe that education is the secret to success. Syrac Inspirations argue that self-development will play a pivotal role in the firm achieving their growth goals, so they have committed to hosting monthly workshops, seminars and tutorials to allow their staff and contractors to learn, grow and develop. 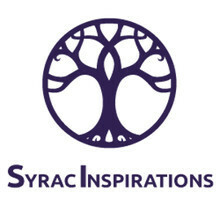 Syrac Inspirations is a market leading sales and marketing firm based in Sheffield City Centre. They concentrate on raising brand awareness on their clients’ behalf and increasing customer acquisitions through face-to-face marketing techniques. The firm specialises in a unique form of direct marketing, allowing them to personally connect with individual customers on behalf of their clients. Since their launch in 2015, they have built solid foundations, and they are excited to expand the Syrac Inspirations brand in 2017. * For more information regarding media usage, ownership and rights please contact Syrac Inspirations .